When I entered My Love Wedding Ring, on 47th street, I knew right away that my jewelry photography skills would kick in. The office was quite cozy. A nice gentleman, who turned out to be the owner, greeted me. He explained the essence of his business to me as we started walking towards the staircase, dropping two floors down, leading us up to an additional door. When I entered, it appeared to be a full-blown jewelry factory. It contained about ten jewelry makers, each doing something very interesting -- although they didn't have a jewelry photographer on board. 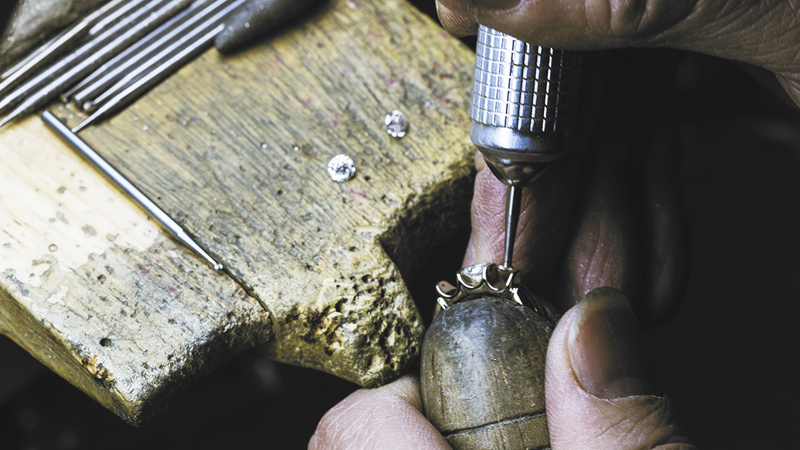 The man in the picture is filing off grinds and small nudges for the diamond to sit in place before he secures it entirely. The craftsmanship in designing jewelry always amazes me.